All are welcome and encouraged to come, listen, and hold space! BUT THE MIC is reserved for the voices of those who identify as black, African, African American, or a descendant of the African diaspora to tell their stories and speak their truth. All are invited to attend and listen. Hosted by Imani Cezanne. 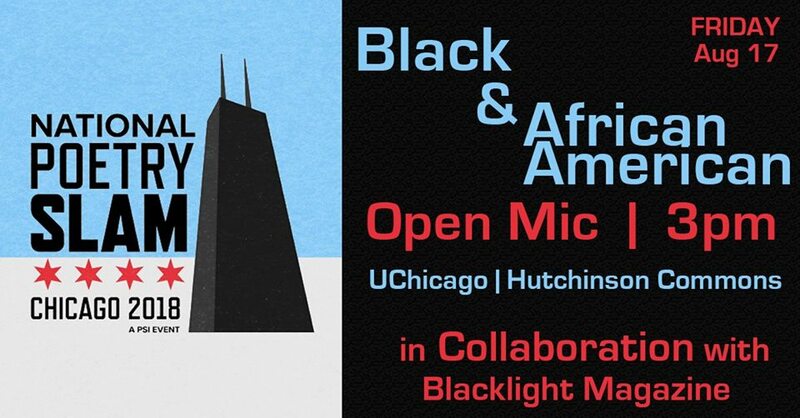 This event is co-sponsored by Blacklight Magazine, Lethal Poetry, and The University of Chicago !! Ask a black woman to Direct the #NationalPoetrySlam and you end up with dope programs on the south side of Chicago #LikeWhat? !